Joseph Roantree Johnson was born in Rosedale Abbey in 1894. He was the son of Christopher Johnson, born in Lincolnshire and Margaret Hannah Baines, born at Hutton le Hole. The couple married in 1892 in Helmsley District. Joseph’s father was an ironstone miner and Margaret’s father was a blacksmith. Christopher and his family moved from Rosedale to Lingdale and then to Great Ayton where there would be mining work. Joseph also found work as a miner and in 1911 he was living with his parents at High Green, Great Ayton. Joseph had 10 brothers and sisters: Edith May, Ben, Margaret Ann, John Redvers, George, Mona Barbara, Christopher, Mabel and Herbert. According to his army records Joseph joined the 1/4th Yorks Territorial Regiment at Stokesley on 25th May 1910. He gave his age as 17 years and 7 months which was far from the truth as he would not even have been 16 until the Dec quarter of 1910. Had he given his correct age he would have been turned down as too young to join the colours! Joseph’s military records tell us that his next of kin were Christopher and Margaret Johnson of Great Ayton, that Joseph was residing in Great Ayton and that he was employed in the mines. He was 5’ 4 ½ “tall, with a 36” chest, expanding to 39”, had good vision and good physical development. He was attached as Private 1129 to the 4th Battalion of the Yorkshire Regiment. He undertook preliminary training from 25th May – 1st July 1910 and thereafter he participated in the annual training for the territorials every year. In March 1914, Joseph re-engaged for one year, but his “embodied” service (as a member of the fighting forces rather than a ‘territorial’) began on 5th August 1914, immediately War broke out. However, for the time being he remained in England. 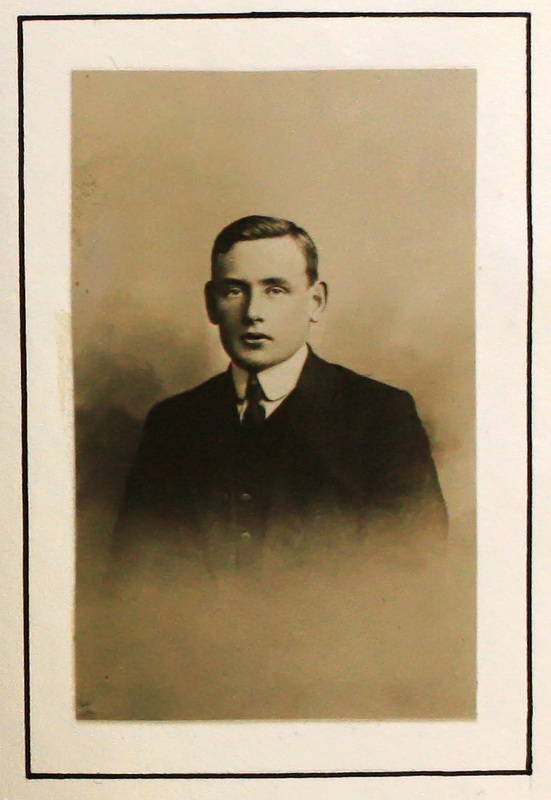 Private Johnson was sent abroad from Folkestone on 17th April 1915 and quickly proved himself. He was made Lance Corporal “in the field” on 5th May 1915 and a day later he was promoted to Corporal. As such, he received Proficiency Pay Class 1 from 1st July 1915. Corporal Johnson received a gunshot wound to his right shoulder “in the field” on 1st February 1916. At the time of his injury Corporal Johnson’s battalion were in position at Hill 60, Armagh Wood. However no specific offensive action is recorded for that day, and it may be that his wound came as part of the attritional aspect of trench warfare. Initially, he was treated at a field hospital, then at hospital in Wimereaux, France. 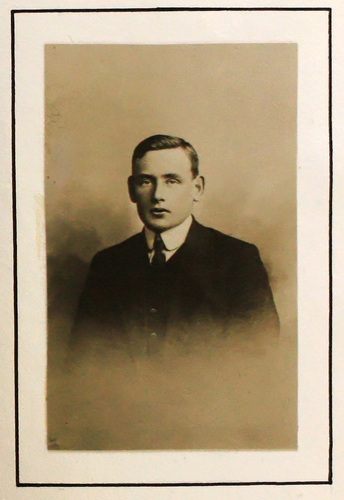 Finally he was sent home on the hospital ship “St David” on 20th February 1916. Even back in England, Corporal Johnson’s wound failed to respond to treatment, and he was discharged from the army “being no longer physically fit for war service” on 29th June 1916. Joseph Johnson married Amy Simpson Grant in Middlesbrough in the December Quarter of 1917. Amy was the daughter of James Grant, born in Scotland, and Elizabeth (nee Sowler) born in Stokesley. (Elizabeth had previously been married to Thomas Carter). Joseph and Amy lived in White Cottage, Brookside in the town. Their only child, a son called Morris, was born in Stokesley in 1918. It is to be hoped that the brief time which followed Joseph Johnson’s discharge brought him some measure of contentment, as with supreme irony, Joseph died on Armistice Day, 11th November 1918 at home in Stokesley. In his will, proved in London on 28th December, Joseph left £149 19 shillings to his widow Amy, who lived until 1972. The website http://www.sgrboards.org/pdf/WW1%2011%20NOV.pdf lists all 862 servicemen who died on 11/11/18. Here it tells us, about three pages from the end of the list, that Joseph Roantree Johnson "died of pneumonia following wounds”. Joseph was 24 years old when he succumbed. He was awarded the British War Medal and Victory Medal as well as the 1915 Star. Unlike so many of his Stokesley comrades, he lies buried close to those that knew and loved him, in Stokesley Cemetery. Joseph was the cousin of James Glasper, another of the Stokesley Fallen. See Glasper J.F. Go to next soldier: Johnson W.